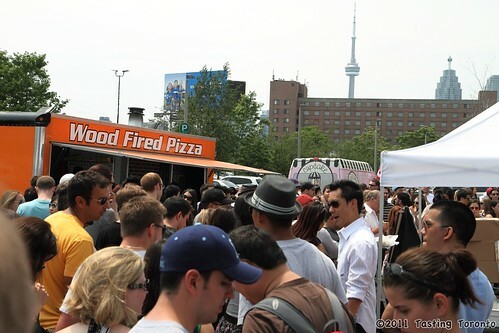 Ontario's first food truck rally was a huge success. 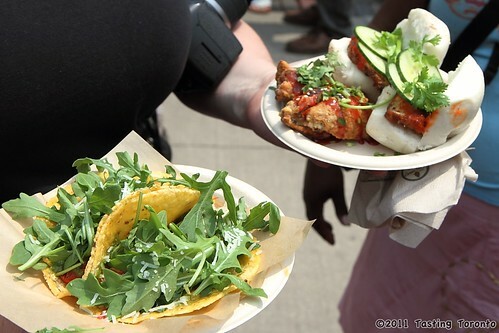 Food writer Suresh Doss rounded up some fabulous food trucks at Toronto's Distillery District on July 2nd for Food Truck Eats - Part 1. The huge crowd was able to feast on tacos, cupcakes, grilled cheese, wood fired pizza, wings, porchetta sandwiches, kulfi, churros, and many more. This event was part 1 of 3, so look forward to a couple more chances to relish great food outdoors. Oh yeah! 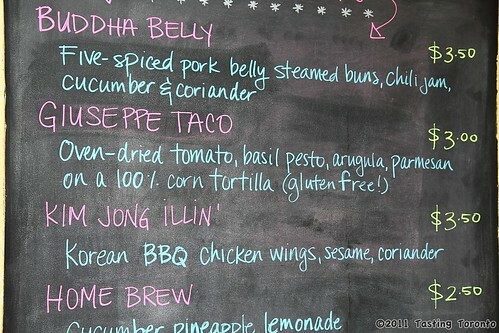 Bright idea to have a food truck rally there. Very accessible and low cost foods even though you were gonna stand when eating. But tha's fine with me because there food there is great. Thank you! It was a great event. The second edition of it is this Saturday, Aug 20 if you guys are interested in going!